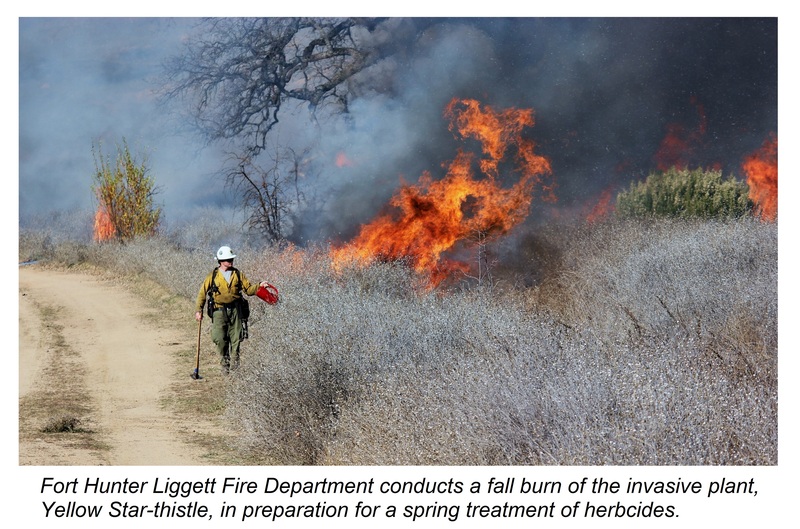 As long as it is consistent with our military mission, Fort Hunter Liggett (FHL) performs many habitat improvement or enhancement projects that benefit both game and non-game species. With the assistance from your permit fees, FHL is better able to support healthier and more biologically diverse communities. In addition to wildlife guzzlers and wood duck box programs, other FHL habitat improvement projects include: invasive species control, oak tree plantings and native seed mix restorations, wildlife-friendly fencing modification, derelict fence removal, and spring development. Preventing the introduction of invasive species, detecting and controlling populations of invasive species, and restoring native species and habitat conditions in ecosystems that have been invaded are vital actions for FHL to sustain its natural austere and biologically diverse communities. There are several plant species considered invasive and/or noxious on FHL. Exotic and invasive plant species on FHL include mustard (Hirschfeldia incana and Brassica nigra), cheatgrass (Bromus tectorum), saltcedar (Tamarisk parviflora), and yellow star-thistle (Centaurea solstitialis). 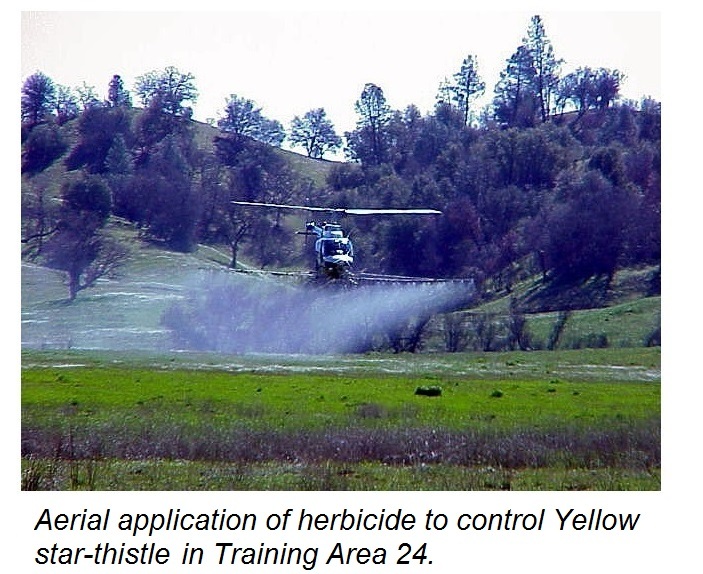 The presence and spread of saltcedar and yellow star-thistle are the most extensive and severe FHL natural resources issues. Oaks provide habitat structure and a food source for wildlife, shade and cover for wildlife and military training activities. 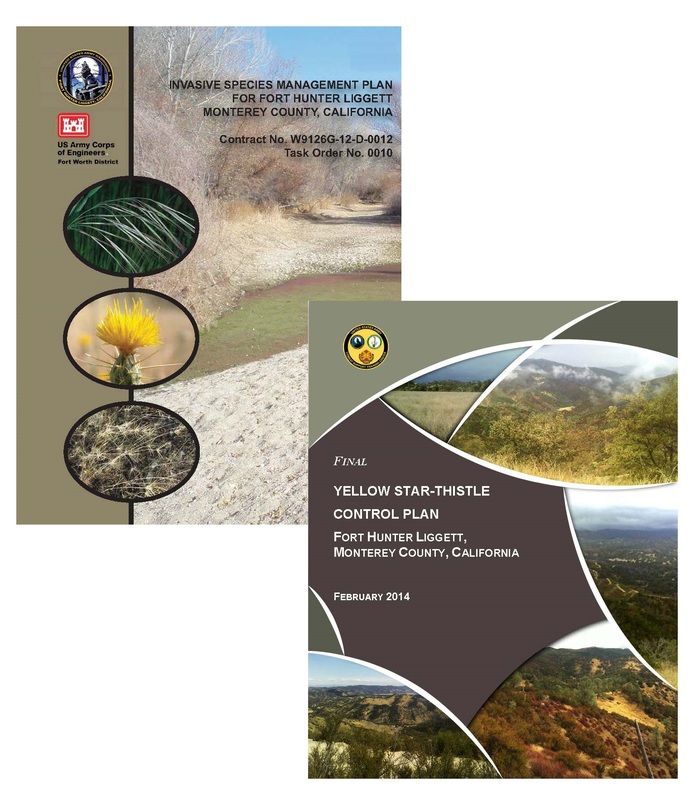 The regeneration of oak trees is poor throughout California, and FHL native oaks are lost to fire, disease, damage from military training, and facility development. FHL strives to maintain oak woodland stands and enhance oak regeneration to ensure long-term conservation of these regionally-rare and globally-unique woodlands and savannas. 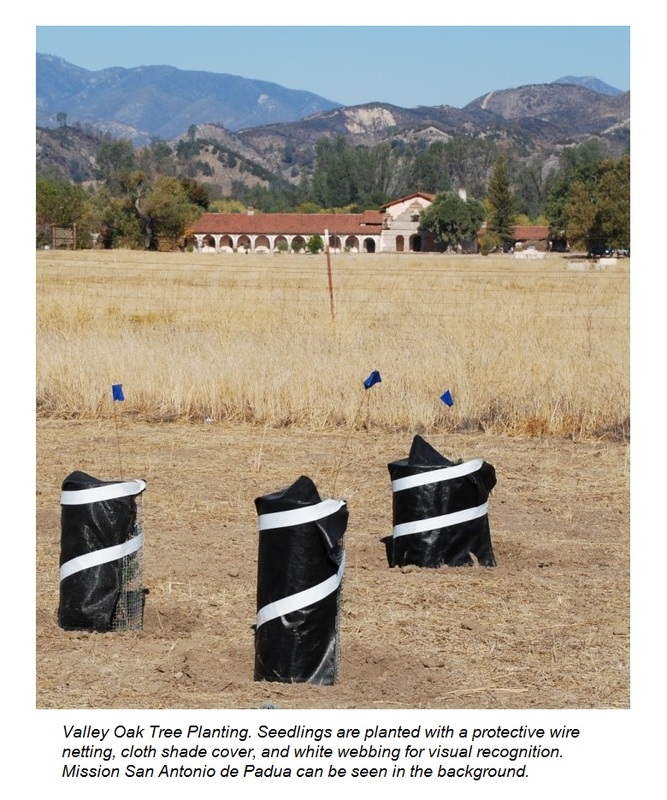 FHL plants approximately 75 to 100 valley oaks annually. To maintain the genetic integrity of the species, these plantings are from acorns collected on-site and raised in greenhouses or outdoor nurseries. ​Approximately three miles of Mission Road (FHL’s main ingress and egress) was fenced in the 1970s for cattle containment. This impeded wildlife movement between upland areas and the San Antonio River occasionally trapping animals within the road corridor. 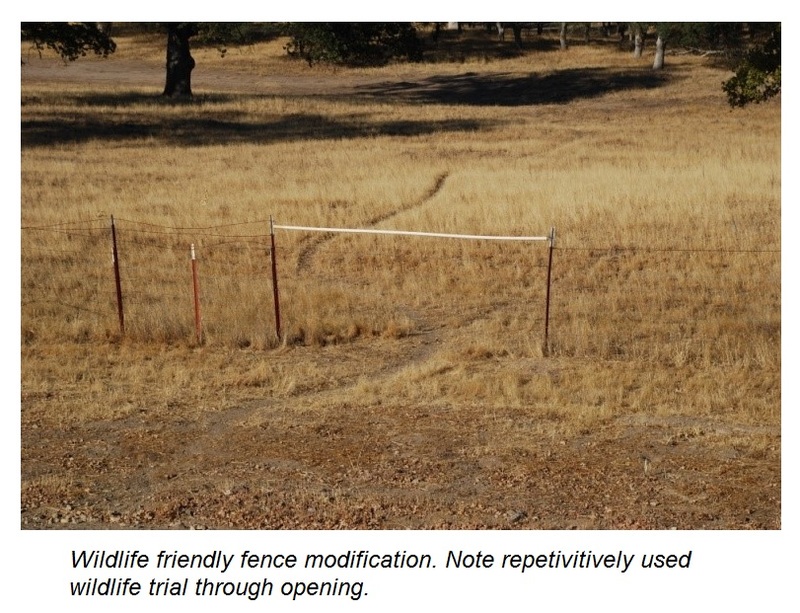 For the safety of wildlife and motorists, FHL made fence-line modifications in two locations to allow wildlife safe passage across the road. The welded mesh and barbed wire were removed between fence stakes and replaced with two strands of smooth wire and a top wire threaded through PVC pipe. This was repeated on opposite sides of the road to allow a passable corridor. The bottom strand was kept more than 16 inches above the ground to allow fawns, elk calves and small animals to pass under, and the PVC on the top strand gave a visual aid for elk and deer to jump over. Wildlife crossing signs were installed to alert motorists of animals on the road. Summer water sources for wildlife are scarce in the dry season resulting in stress and mortality to game and nongame species. To help reduce this dry season stressor, FHL manages many natural springs and seeps, and maintains 26 previously developed “spring boxes”. A spring box is a structure engineered to make optimum use of a natural spring. It functions to protect the spring water from contamination, normally by surface runoff or contact with human and animals, and provides a point of collection and a place for sedimentation. They can come in a variety of designs but all basically work the same way by moving water, typically by gravity, from a spring to another location for wildlife use. 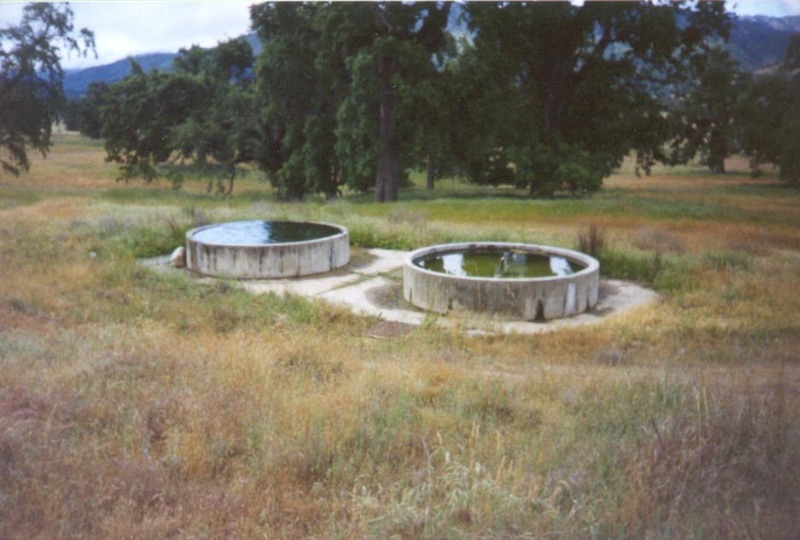 This reduces animal disturbance and water contamination at the spring but still allows access to the spring water. 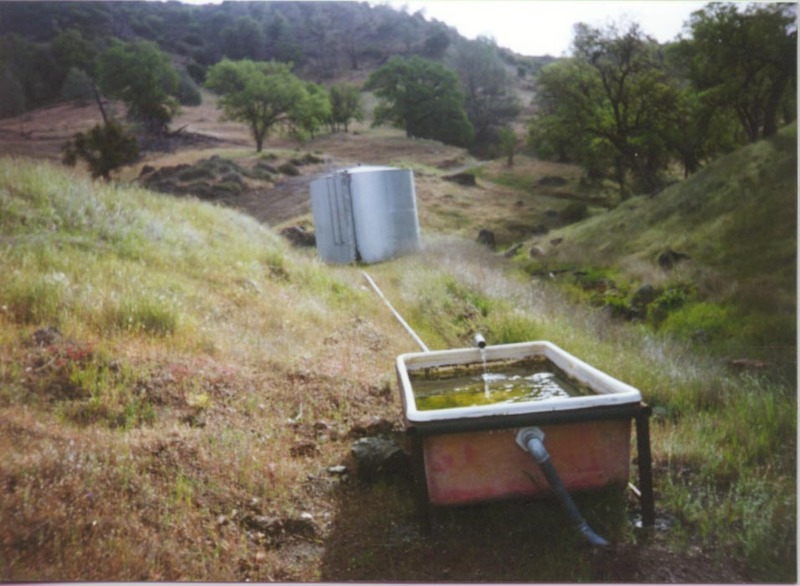 In contrast to the generally held belief that discharge declines if the springs are touched, the development of natural springs often leads to improved yields. While developed springs typically require little maintenance, sedimentation, debris clogged pipes and aquatic vegetation accumulation in troughs and drinkers can still occur. Consequently, if they are not periodically maintained, then the whole system fails. It is far more cost effective to perform regular maintenance on these systems than to repairing or replace them.